I had the pleasure of working with Sara Fitzpatrick on Alison & Barry’s wedding in the fall of 2017. When friends of hers wanted to do a vow renewal, Sara reached out to me for the ceremony. I was thrilled to help! Karly & Brent were married a few years earlier and wanted to renew their vows (they were about to announce they were expecting a new addition to their family). We headed to Island Beach State Park on a beautiful sunny day so they could pledge their love to each other again as they embarked on the journey of growing their family. 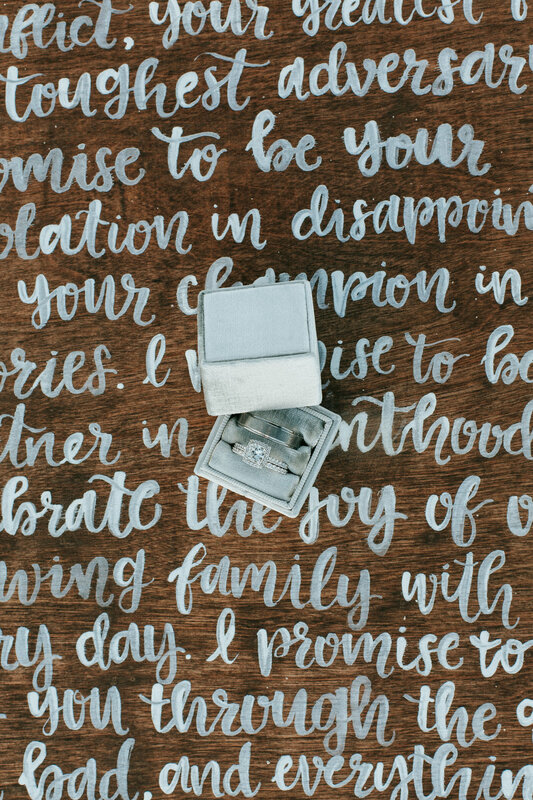 The vows I wrote for them were turned into a beautiful hand-written board for them to keep in their home. Check out Red Oak Wedding Blog for more information on this very special ceremony. For Alison and Barry, the focus of their ceremony was all about celebrating their love for each other while making sure Barry’s son, Jaysen, knew he was and always would be a critical part of their lives together - even including him in their vows. They celebrated with a rustic ceremony on the patio at Eno Terra Restaurant in Kingston in October 2017. Read more about their day on the Cake and Lace blog.